And with that in mind, I nipped into Avoca Kilmacanogue this afternoon in search of nice packaging or cute things for the TwookieParty. Avoca is without a doubt, beautifully presented and packaged and full of yummy things but they really are wiping the eye of the denizens of SoCoDu with their prices... €12 for two fishcakes, €4 for a tub of green bean salad and €10 for a tub of risotto. My poor jaw is bruised from bouncing off the ground at the markup... I can make a VAT of risotto for about €2.50! 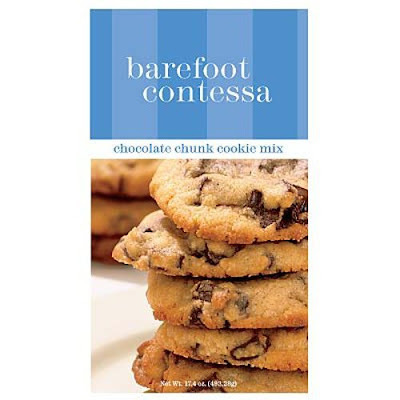 Another thing that made me wince and gave me a sad face was finding boxes of the ever-wonderful Ina Garten's Barefoot Contessa cake and cookie mixes. Just under €9 a box to make about 18 chocolate cookies is not playing nice. Yes, I know it has to be imported from the US and there's loads of taxes and customs charges and whatever, but honest to God, you can make these for very little money and not a whole more effort than opening that box - and I'll prove it when I write up my cookie recipes in coming days. But I'm wondering what you think? Are packets and mixes worth the extra spend, or should you give it a go and make it yourself... please tell me. Anyway, I decided to make The Hubs a special cake to mark the occasion, as well as a gorgeous dinner of his choosing (which will make a separate blog post later!) and thanks to the ever lovely LikeMamUsedToBake, I settled on a version of Jamie Oliver's chocolate sponge which went something like this! Preheat your oven to 180°C/350°F/Gas 4. Grease & line two 8 inch loose-bottomed cake tins. Dissolve the cocoa powder in the boiling water, mixing until smooth. Add this, and the rest of the ingredients to the butter and sugar mix. Beat until combined. Pour the mixture into the prepared cake tins, level out and bake for 25 minutes. Use a toothpick/skewer to make sure the cakes are cooked. Leave for 10 minutes to cool in the tin and then turn out onto a wire cooling rack, peeling off the greaseproof paper - you don't want a mouthful of this!!! While the cakes are cooling, prepare your fruit (wash, hull & chop the strawberries and rinse the raspberries) and whip your cream until thick enough to spread. 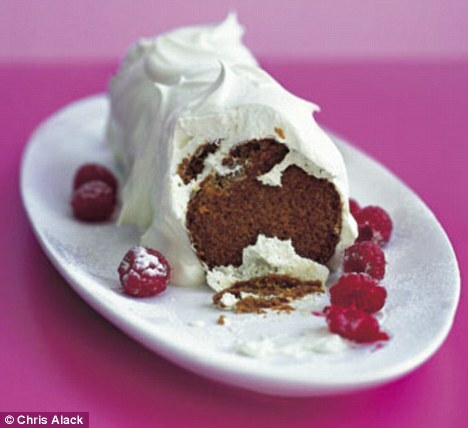 Spread the jam over the bottom cake, add half of the fruit and cream and then sandwich with the other cake. Spread the rest of the cream over the top of the cake and decorate with the remaining fruit. 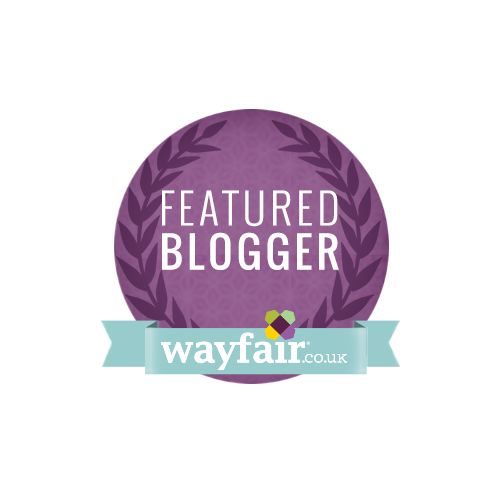 The verdict - The Hubs was blown away... It's actually very light despite all the cream and butter, and it tasted utterly delicious. I wonder if he'll return the favour when it's my birthday??? Years ago a former boss (Freak knows EXACTLY who I'm talking about) was very fond of the acronym KISS. It means Keep It Simple Stupid, and it's how I like my food. I'm not a huge fan of over tweaked and over fussy food and this salad fits in with my philosophy perfectly - simple, quick and easy. Boil the potatoes in salted water until tender - this takes about 15 minutes. When the potatoes are cool, chop into mouth sized pieces and mix in a bowl with the spring onions and mayonnaise. Season with the salt and pepper and add the mint. Chill well for at least an hour before serving. A while back, I bought Jamie Oliver's "Jamie Does..." book. It's crammed full of gorgeous recipes from all around Europe and I've cooked quite a few of them. One which I particularly liked was Courgette Gratin, and as the local Aldi was selling twin packs of courgettes for 89c this week, decided to give it another go. This time, however, I made a few changes, basically to use up some veggies which had to be eaten as they were lingering in the fridge and would soon be past their best. I would also use these veggies to make Vegetable Kebabs for the BBQ, so this is a different way to enjoy them all. This serves 4 as a side dish, so just double up if you're feeding a hungry horde! Finely slice the onion, and add to a large frying pan with the olive oil. Cook for about 15 minutes on a low heat, stirring occasionally until soft & sticky. Add the mushrooms to the onions and cook for a further 5-7 minutes until lovely and soft. Rinse the basmati rice in a sieve under cold running water until the water runs clear. Pour the mixture into a gratin/lasagne dish and top with the remainder of the cheese. Bake at 190c / 375 F / Gas 5 for about 40 minutes until the top is bubbly, the stock has absorbed and the rice is cooked. Tonight we're having this with some griddled chicken and salad. On Saturday afternoon, myself and the Hubs began our journey to Taste of Dublin... car to parents house, walk to DART, DART into town, walk some more and we arrived at the Iveagh Gardens all set for an evening of great food and wonderful drink. So... I had already voiced my concerns at the prices being charged at Taste of Dublin for food. I hate that "R" word with a passion, but somebody organising the event needs to catch onto themselves and bring the prices down - 7 florins is a ridiculous sum of money...yes, it's €7, no matter how you dress it up for a single table-tennis ball sized Shrimp & Smoked Haddock Croquette from Chapter One. The Hubs took one look at it and asked if they were taking the piss! We spent a substantial amount of our money on the demon drink and goodies to bring home, so only four dishes were sampled. This was a good sized potion absolutely stuffed to the brim with shreds of very succulent and moist duck. The cucumber & spring onion salad was very fresh but the dish was very salty. Plenty of juicy crisp scampi in this portion with a beautiful tartare sauce but ruined by far too much salt - we were gasping for something to drink after this... perhaps this was the intention! I cannot even begin to tell you how peed off I still am about this. We ordered the last two burgers they had and decided to find somewhere comfy to sit down and eat/drink. Only one of the burgers actually had any meat in it. To paraphrase Nan from Catherine Tate "what a fackin' liberty". Erik & Michelle - where's the beef? Plenty of stuff actually, despite my moans above. I signed up for the Ballymaloe Cookery School lesson with the lovely Rachel Allen, then raced off to ensure The Hubs was well supplied with beer before I donned my blue apron. I had been told that they were cooking Portobello Mushrooms which suited me perfectly as I had already done the Chicken Paillard dish 2 years ago. Whoops... it was the chicken again. The lovely Emma & Pam very kindly gave me the recipe so I can try it out at home. We were joined by Derry Clarke who claimed to be publicising his new Master Butcher venture with Michael Bermingham but was actually in need of a refresher course!! The redoubtable Pamela soon put him in his place & taught him how to make Aioli. The cheeky sod handed her his mess to clean up... typical man. We made a pitstop at the Superquinn Pavillion where we had a white wine tasting session - we both preferred the French wines, funny that! The SQ Florentines are yum & we snagged a few boxes to bring home. After that, I detoured to the Taste of Thailand area where I had a very intensive Thai Massage... that certainly beat away the knots in my neck and we may have had some Chang beer - thirsty work, all this walking. We eventually wandered down to the main area where I had the pleasure of meeting the lovely Catherine Fulvio from Ballyknocken again. I did one of Catherine's Summer Entertaining courses with Freak a while back and I'm surprised she didn't kick us out with all the giggling we did. Luckily she doesn't hold a grudge and was ultra-charming. We also met the other C. Fulvio - her husband Claudio, who was rocking a Panama hat in a most stylish manner, and chatted to him for ages. He made us promise to visit Sicily sooner rather than later, and we will, we promise! We also ran into Emer from CraftButchers on the Green Farm Foods stand - our Dads are very good friends so we swapped tales for a while... before moving onto the Tropicana stand, where we feasted on mini smoothies, smoked salmon bagels and blinis. Then we found the Cocoa Atelier stand - this was just heavenly, with the most divine chocolate creations laid out for sampling. We came home with a 15 piece box of their chocolates which I'll write about in a separate post as they deserve special treatment! And all too soon, it was chucking-out time so we wandered back to the DART station for the trip home. We may have been sidetracked into a pub on the way for a mojito and a daiquiri. Based on my tender head the next morning, I should have kept walking! So in conclusion... 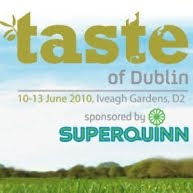 Taste of Dublin needs to sharpen up its act especially on pricing and food quality. I'm not alone in this opinion, as Robert and Not Junk Food have already written their pieces on Taste of Dublin and we all seem to come to the same end result. 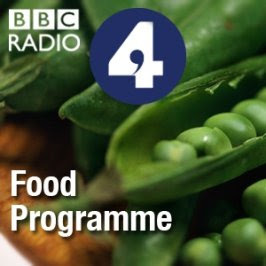 BBC Radio 4 also has one of the best shows ever, The Food Programme. I love this programme, presented by Sheila Dillon, as it covers so many topics from farmers markets to the slow food movement in Italy. The BBC iPlayer only lets you listen to the show for 7 days which is very sad, so get your skates on and log onto the website right now! It's National Strawberry Week and the luscious red fruits are appearing everywhere. Personally I can't get enough of them and would happily sit down with a punnet and eat the whole lot myself. When I was a kid, Dad used to bring home giant panniers full and, as Mum wasn't a jam maker, they'd be frozen on a baking sheet and packed into plastic bags. I would then eat them like ice pops, sneaking one when nobody was looking! I bought some strawberries at the weekend and really wanted some cheesecake (it's the base that gets me... every time!). I don't have any individual loose-bottomed tins and as there's only 2 of us, making a whole cheesecake is dangerous i.e. we will eat it all, so I compromised and made them in bowls. Put the biscuits into a ziplock bag & beat the crap out of them with a rolling pin, until they're a smooth rubble (you can use a blender but beating things up is far more fun). Melt the butter in a small pot, add the crushed biscuits and mix well. Place into the base of two bowls and chill. Wash and hull the strawberries, reserving 4 for garnish. Puree the remainder (I used a stick blender) and fold into the cheese. 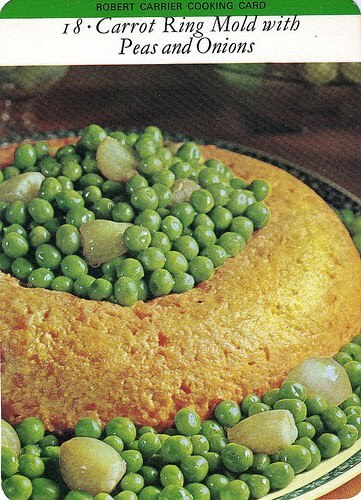 Pour over the biscuit base and refrigerate for at least 3 hours. Top with the reserved strawberries and serve. I used the last few drops of the puree on top... waste not, want not! Some of us Irish Foodies on Twitter have been yearning for an ice cream maker in recent weeks - Aldi & Lidl have had them on sale for under €30 and because I have a huge shed with loads of storage space, I can stash one of these away. I mentioned it to The Hubs and he was ever so enthusiastic... a touch of the Homer Simpsons going on with the mmmmmmm's. So I wandered into Aldi yesterday to see if there were any left and lucky old me walked out with a box under my arm. Naturally when I get something new, I want to play with it immediately so I decided to use up some fresh pineapple I had bought over the weekend that was becoming a touch tired and world weary. As this was Attempt The First, I wanted to keep things simple and decided to be very lazy and use a readymade custard as the base. Damn. I had used all the supplies when I made Like Mam Used To Bake's gorgeous Rhubarb Fool with Custard Crunch and not replaced it, so another trip to the shops was in order. I grabbed two tubs of Bird's Low Fat Custard (every little helps...) and headed home to retrieve the bowl from the chest freezer where it had chilled down overnight. The instructions recommend at least an 8 hour stay in the freezer in an upright position by the way (just to prove I did actually read the instructions!). I mentioned to The Dad over the phone that I had made this concoction and he was impressed/jealous in equal measure. Apparently Handsome Man will do his nut when he finds out, as pineapple is his favourite fruit, so I have been instructed to prepare a batch and have it ready for The Dad's return from holiday in 2 weeks time... praise indeed! Mix the ingredients together & place in the ice cream maker. Transfer to clean freezer container and freeze for at least 3 hours. The finished icecream in handy recyclable container! When I was a kid, there was very little evidence of food on TV - Delia Smith was about as good as it got. Fanny Craddock was, quite frankly, terrifying and our family was posh enough to possess a set of Robert Carrier cookery cards (complete with white plastic holder!) which were hauled out for my parent's dinner parties. We even had a Hostess Trolley which was used for these occasions and muggins here was bribed to wash up those gargantuan glass serving dishes. The dessert speciality was Ginger Log - nothing more fancy than a packet of Ginger Nuts, a lot of sherry, a vat of whipped cream and a couple of Flakes. It was the height of sophistication back in the early '80's but you'd probably pass out now if presented with this stodgy goo!!! Thankfully things have changed and we've gone from famine to feast. I love cookery and food programmes, and The Hubs nearly cried on the day that Food Network started on Sky... he knew I'd be obsessed and he was right! I have a huge love of Ina Garten aka the Barefoot Contessa. She is casual but precise and has a lovely manner when explaining how to cook dishes. I would KILL for her house and especially her kitchen and all her equipment - it's top of my Lotto Wish List. The much maligned Jamie Oliver is also top of my viewing list. He's done so much to revolutionise how people think about food and his recent Food Revolution show was both frightening and inspiring. It's crazy that some people in the US consider chips/fries as a healthy vegetable. Holy Mother of God. I have most of his books and I love his recipes. I've just finished watching Masterchef New Zealand, something I originally obtained for my friend Chris who is married to a Kiwi and I reckoned they'd love it as a reminder of home for him. Then I started to watch it - utterly addictive and the finale was so pressurised for the final two contestants. The poor sods were put through 4 different challenges... I don't know how they did it! Another firm favourite in our house is the homegrown The Restaurant. Tom Doorley would have you believe that we watch it strictly because of himself & Paolo Tullio, but that's a lie! We love the innate snobbery of all the public diners who claim to know everything about food but just make eejits out of themselves with their comments!! This time around, I decided to make a Balsamic & Garlic marinade for the chicken pre-griddle and it was a huge success. Trim your chicken very well, removing any sinew, fat or tendons in the fillet and mini-fillet. Place your chicken on a chopping board, and using a very sharp knife, slice the chicken breast along the length, cutting the fillet in two, but leaving a join. Open it out, using the knife gently, until it is evenly split & there's no large lump of chicken at the back (when you do this, you'll realise exactly what I mean!). Mix the rest of your ingredients, pour over the chicken and leave to marinade for at least 30 minutes. Serve it with a big salad and, if you used real lemon, some lemon wedges to squeeze over the chicken. This also works really well on a barbecue and makes a chicken breast look very impressive indeed!